Summer Boy Bands, Parody Song Lyrics of LFO, "Summer Girls"
Song Parodies -> "Summer Boy Bands"
And the thought of that ought to make you sick. Y'know it's a lie when bands get fly about the summer, 'bout the summer. And saying that in a song made me rich. Mention some products and start a fad. You're the best girl that I ever did see. It's a shame you're nothing but a model on TV. You smile for the cameras, but it's all a joke. I hate everything but I eat it, wow that's surreal. Can't turn off the TV, no that would be bad. I wear Nikes 'cause they're really cool. What rhymes with speakin'? Oh yeah, Alex P. Keaton. I gotta meet girls from Abercrombie and Fitch. I get paid big bucks to say Oreo cookie. Really hate school so I had to play hookie. But it don't matter 'cuz my name is Kyle. I lip sync all my songs and that's a fact. I drink Lipton tea to go with the flow. A show on ABC was called "The Mole". And a court would order that I can't come near. And I laugh so hard when you tell a joke. Ain't hard to write another hip hop song. Anytime they buy, I get money. I like. Harley-Davidson makes a real good bike. Jiffy Lube changes oil really quick. My limo takes me back to the same old brick. 'Cuz singin' 'bout summer, man, they can't resist. The worst part is figgerin' out what rhymes. Call you up, but what's the use. Kevin Bacon paid me to say, "Footloose". I think I'm over you but I'm really not sure. Some are worth while and some are so so. To see another concert, 'nother boy band show. And oh, man, that's really sick, sick, sick! does anyone know the real parody to this song, because i am trying to find it !!! if you know please email me at Raymee7@aol.com singer or title would help, thanks! i hate this song!! this song has nooooooo point!! i like a girls who wear A&F like wtf!! they probably like those snobby rich white girls who wear it all the time! no offense! Whats wrong wearing Hollister, Aeropostale or American Eagle..I wear all of them and I'm also spanish!!! your parody is lame, sucksss. 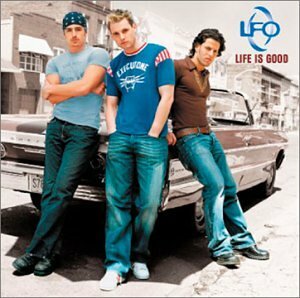 The address of this page is: http://www.amiright.com/parody/90s/lfo3.shtml For help, see the examples of how to link to this page.